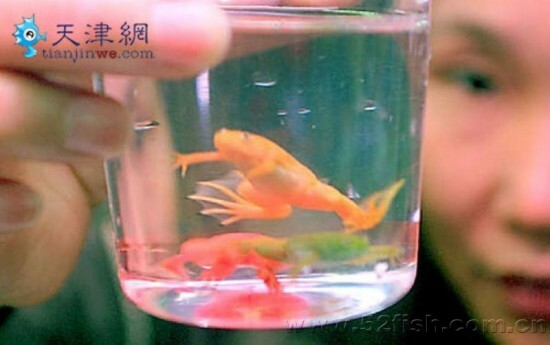 Just like tattooed gold fish and live turtles sealed in keychains, artificially dyed frogs have been sold in China for a few years now, despite complaints from animal activists and warnings from animal welfare experts. It seems regular frogs weren’t cheerful-looking enough for some people, so they decided to add a bit more color to mother nature’s design, through modern technology. 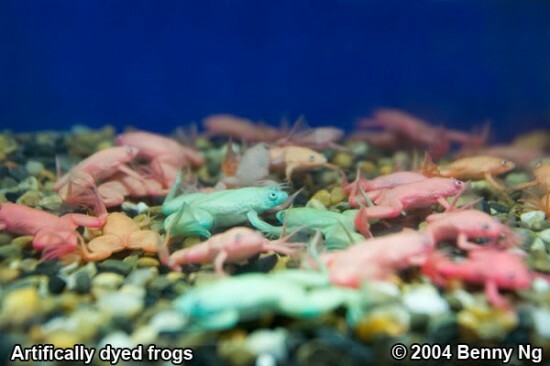 Using various devices and techniques, including lasers and bombarding the poor amphibians with large amounts of industrial chemicals which are absorbed by their skin, they create what is known as colored frogs. The colors are vibrant and apparently last for up to 4-5 years. 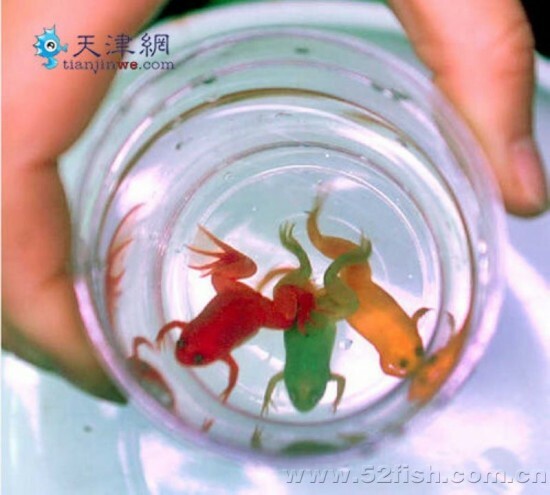 For some reason, many Chinese seem to like these radioactive-looking frogs, and they are in very high demand at aquariums and ponds across the country. Some even buy them as pets for their children, and vendors say people “like the bright colors because they are so cheerful”. Unfortunately, few of them understand that the high doses of chemicals are lethal as indicated by signs like “Not for human consumption” on the side of their tanks. Experts say thousands of tropical frogs could die as a result of this colored frog trend.